Worthington dog owners, mark your calendars for Fido Fest, a day of furry fun on October 6 at the Worthington Village Green. Hosted by the Worthington Organized Off-leash Friends (WOOF), with Pet Palace as the title sponsor, this free event takes place from noon to 5 p.m. and features a lineup of activities for dog owners and their pets. 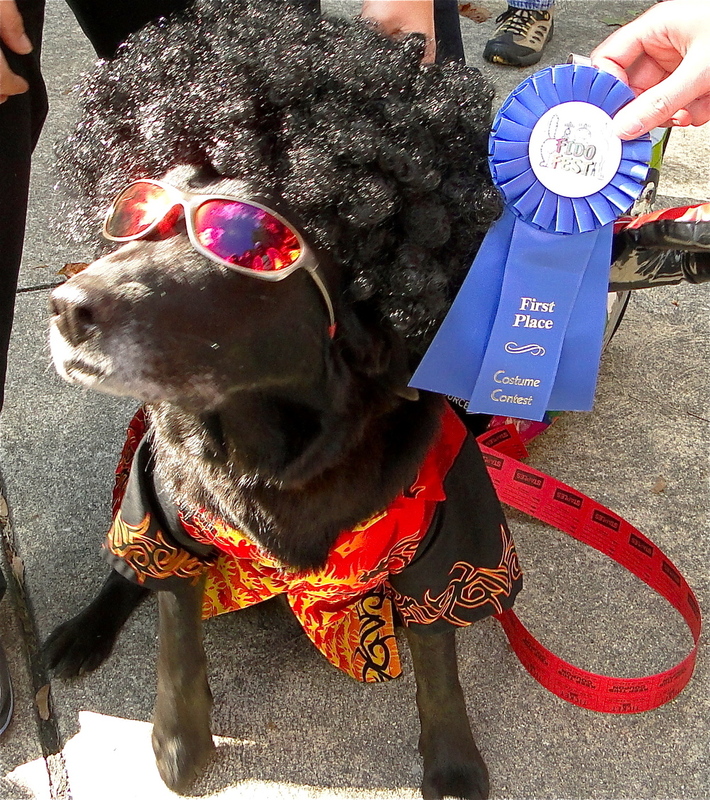 All Fido Fest proceeds will benefit the Worthington Dog Park located on Godown Road. Here are a few event highlights you won't want to miss. One-Stop Shop for Dog Owners: With 80 vendor booths offering everything from dog supplies, dog food and dog clothing to service providers like veterinarians, pet sitters and doggie daycares, Fido Fest is a one-day shopping spree for you and your pet. Pooch Parade: Beginning at 4 p.m., dog owners and their furry friends (costumes are optional) will march down High Street in Downtown Worthington. The parade is sponsored by Rascal Animal Hospital and Emergency Care, and spectators are welcome. Contests: What's a festival without contests? The Fido Fest is no exception with its Costume Contest sponsored by Pet People, the Best Wiggle Waggle Contest sponsored by Green Scoop, the Bobbing for Wieners Contest sponsored by Lifetime Pet Wellness Center, the Best Trick contest sponsored by Petco, and the Simon Says contest by Pet Butler. Blessing of the Dogs: Father Philip College of St. John's Episcopal Church will bless the dogs with a prayer and holy water. This longstanding tradition typically takes place prior to a hunt or at the start of hunting season. Canine Sports Demos: Zoom Room Dog Training will host agility and obedience demonstrations, highlighting a lineup of activities designed to improve the relationship between dog and dog owner. Silent Auction: Items in the silent auction will be on display all day at the WOOF booth located on the Village Green. In addition to bidding on these items, visitors can also sponsor a paver, bench or tree for the Worthington Dog Park. For more information about Fido Fest, the Worthington Dog Park or WOOF, visit worthingtondogpark.com, email info@worthingtondogpark.com, or call 614.349.6630. Information about this event and other Worthington happenings is posted daily on the event calendar at visitworthingtonohio.com.